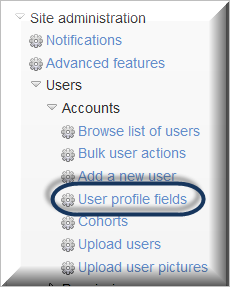 Administrators can create custom User profile fields to capture and store important information about users in their LMS profile. 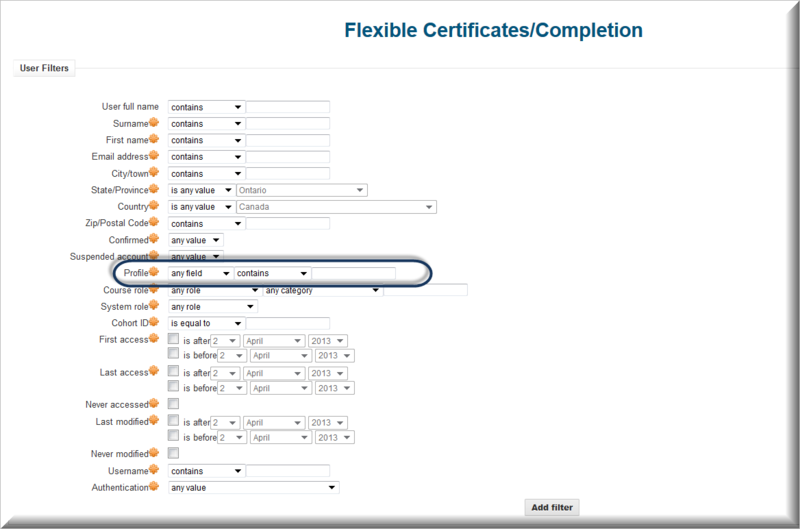 These Moodle standard custom user profile fields can also be included in bulk user uploads and as User filters when generating flexible reports or for Bulk user actions. It is best to create the category prior to the fields that will belong in the category. Note: There are certain reserved names and terms that cannot be used for profile fields, see Reserved names and terms at the end of this article for more details. The Specific settings for each type of profile field are unique. The Menu of choices option requires you to specify the options that will be available in the menu. 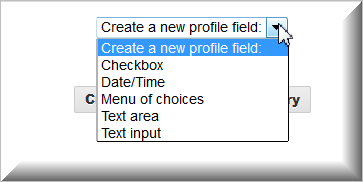 This field will display these options in a drop down menu for your users. The Date/Time option requires you to set the allowable date range (be sure to extend it decades into the future for most uses). If you want a time stamp, put a check mark in the Include time? box. If a time stamp is essential on the new account creation page, remember to select Yes for Is this field required? Click on Save changes before leaving the creation screen. .The .csv must contain values for all required Profile Field. For Custom Profile Fields for the column heading, use the prefix "profile_field_fieldshortname"
Once the information is complete, save your Excel file as a .csv file for the upload. 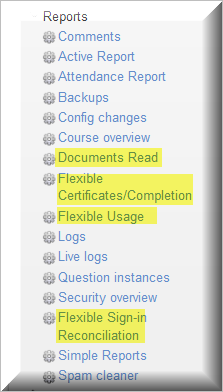 Go to Site administration>>> Users>> > Accounts>>> Upload users. Click "Choose File" to upload a file from your computer or simply drag and drop the file into the space provided. 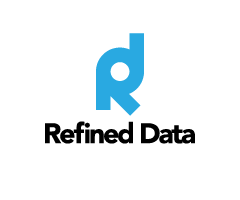 User Profile Fields provide Administrators the ability to filter by specific user information in all RT2 Flexible reports. and specially created Simple Reports. 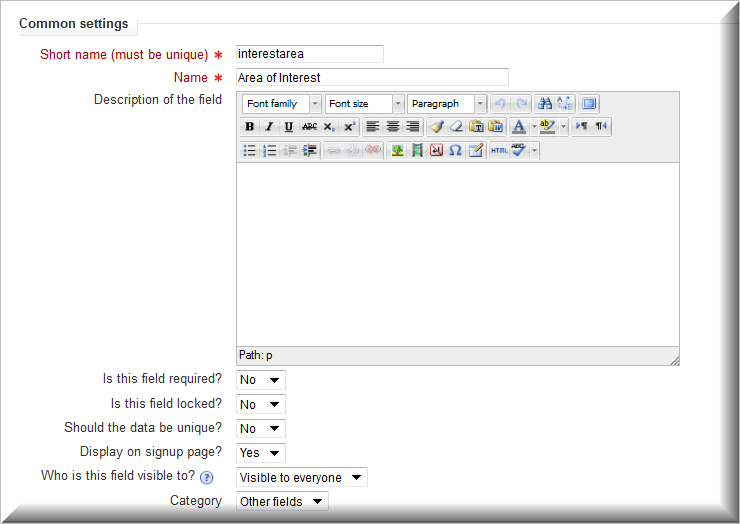 Next to Profile, select an option from the drop-down menu (which contains the shortname of all profile fields created for your LMS) then select whether the filter contains, doesn’t contain, is equal to, starts with, ends with, is empty, isn’t defined or is defined, and in the empty field to the right, type in the value you are filtering for. The selected filters will persist until you click on Remove all filters or you log out of the LMS. If you are producing multiple reports, you can enable the check box next to any filter and click on Remove selected, then you can add other filters. Select the additional parameters for the particular report you need. Click on Display or Download to obtain the report. 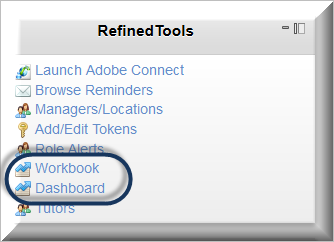 In the Workbook report that is associated with an event is the ability to capture a source value from a user when they register. A source value is any value containing letters, numbers, dashes or underscores (no spaces or special characters), that is added to a URL pointing a user to an LMS. When a user clicks on the URL containing a source value, the source value information is captured in the user's profile when they log into the LMS or create a new account. The source value remains stored in the user's profile until it is replaced by a new source value. This source value is then populated in the Workbook report associated with an event when a user registers for that event. the user clicks the URL >>>> goes to the shopping cart for the course >>>> enters the checkout page >>>> receives their confirmation for the course and the source value is added to the Workbook report. the user clicks the URL >>>> creates an account and verifies the creation via email >>>> goes to the shopping cart for the course >>>> enters the checkout page >>>> receives their confirmation for the course and the source value is added to the Workbook report.